Government research from 2017 estimates 1 in 40 American children has autism, up from a previous estimate of 1 in 59 children. Dentably has funded a study which examines both levels of dental care, and levels of diagnosis and treatment of autism, nationwide. Going to the dentist is important for all children, but there is additional care that needs to be given to children with autism. Anyone that has a hypersensitivity to external stimuli would find that being poked and prodded with pointy objects to be a scary experience. Children with autism are already at a greater risk for dental complications due to behavioral challenges. We took a look at all 50 states and Washington DC to come up with our own Dentably Oral Health Risk Index. Through this index, we can show in which states children with autism may be at a higher risk of developing oral health problems. Missouri has the worst ranking on the Dentably Oral Health Risk Index because children with autism living there are not being taken to the dentist or receiving dental treatments as often as they should. We applaud Nevada for its significant rate of autism-related behavioral treatment. However, there is a lack of dental care for children overall showing that children with autism may be at risk. Oklahoma has a high percentage of children diagnosed with ASD, yet alarmingly low percentages of children receiving dental care. South Carolina has a better rate of children receiving dental care but a shocking amount of children with autism who are not receiving medical or behavioral treatments. A large number of children in California have been diagnosed with autism and the majority are not receiving medical or behavioral treatments coupled with a lack of dental care. 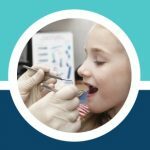 Michigan has slightly better numbers for when it comes to children receiving dental care, but their percentages for children with autism receiving treatment is still low. While Ohio is doing well to treat their children with autism, there aren’t many children receiving dental care instructions. Florida does not have a high percentage of children diagnosed with autism, but there is a lack of treatment for those who are diagnosed as well as a lack of dental care. There is more medication being given to children with autism in Illinois but a lack of behavioral treatment. Dental care for children has room for improvement. There’s a small number of children with autism receiving medical or behavioral treatment while dental care is better but can still be improved. In comparison to the states providing better healthcare to children with autism, the states listed above have much room for improvement. Nebraska has some of the highest percentages for children with autism receiving medical and behavioral treatment. Most children here are receiving sufficient dental care as well. Connecticut is a great example of how a state can provide for its children with autism. Children receive behavioral and medical treatments for their autism. Dental care for children overall is high. Dental care is essential to one’s overall health and well-being and it’s especially important that those with autism are able to receive the care they need. This study identifies trends and potential health risks for children with autism in hopes that communities can use this data to improve healthcare and special needs resources. “It was important to us at Dentably to fund this study as a resource to the community. 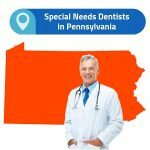 The applications stretch far beyond children with autism and include any child that has apprehension or anxiety about visiting the dentist, whether special needs or not. Children with autism have special dental needs that can not be ignored. With that in mind, we began analyzing data from the 2017 National Survey of Children’s Health. We looked at states where children under 17 had not visited the dentist in the last year as a significant risk factor to children with autism. 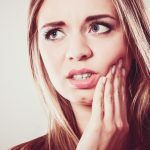 In fact, we looked at ten different dental health indicators and ranked them from most important to least important and then weighted them accordingly. We also took a look at which states showed higher percentages of providing children with autism treatment (both with medication and behavioral treatments) and added these factors to our ranking as well. After ranking and weighting each relevant factor we came to our Dentably Oral Health Risk Index number. The Prevalence of Parent-Reported Autism Spectrum Disorder Among US Children – Pediatrics – December 2018 – VOLUME 142 / ISSUE 6. https://pediatrics.aappublications.org/content/142/6/e20174161. 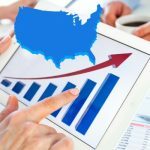 HRSA National Survey of Children’s Health (2017) – HRSA-led study estimates 1 in 40 U.S. children has diagnosed autism https://www.hrsa.gov/about/news/press-releases/hrsa-led-study-estimates-children-diagnosed-autism.